An education foundation in Lindale, Texas is giving away two grants towards Wii-based programs. The grants are two of six given by the Lindale Independent School District Education Foundation to fuel educational programs. The two Wii-based programs will use pre-existing Wii games in order to promote skill development and healthy lifestyles. The first of these projects is Wii Can Do It!, the brainchild of Cookie Hartley and June Wright of the Early Childhood Center. Wii Can Do It! 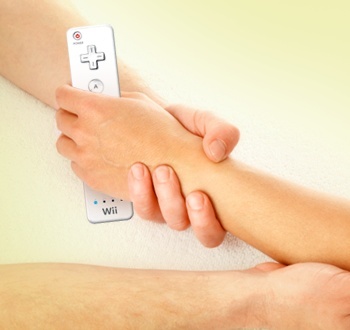 is described as a way to use the Wii for "therapy and instructional tools." The target audience for this program is preschool students with disabilities. The duo has received $1,021.40 to fund this project, and the hope is that it will help them boost the academic and communicative performance of their students. Second on the list is Wii Fit, Wii Moving and Wii Happy which, as the title may indicate, hopes to capitalize on the success of Nintendo's Wii Fit to encourage active behavior in children. Cynthia Peters and Bobbie Williams of the Lindale Primary School are the recipients of the $1,121.30, and said the program will allow students to "experience technology in a fun and creative way." The program is designed to help improve a number of skills such as hand-eye coordination, balance, and rhythm. "The enthusiasm of the donors who went with us and the teachers who received grants made for a very exciting morning," Education Foundation president John Driver said. While there isn't much money in the grant, hopefully this enthusiasm will help the teachers effectively utilize these games to make a difference with their students.